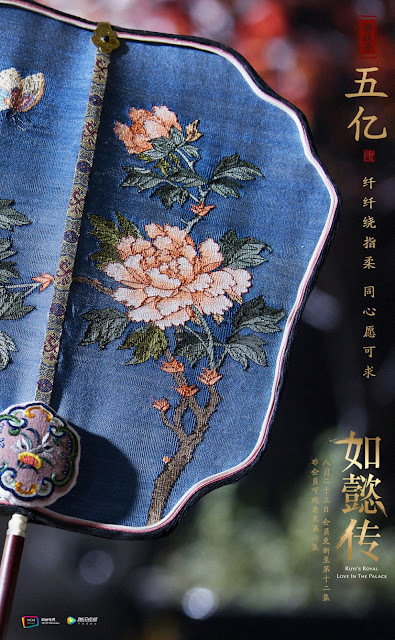 Ever since the production companies behind The Rise of Phoenixes issued a joint statement against the drama's low viewership, it seems that the show has given up on ratings as there has not been any mention of online views and the like on its official weibo. 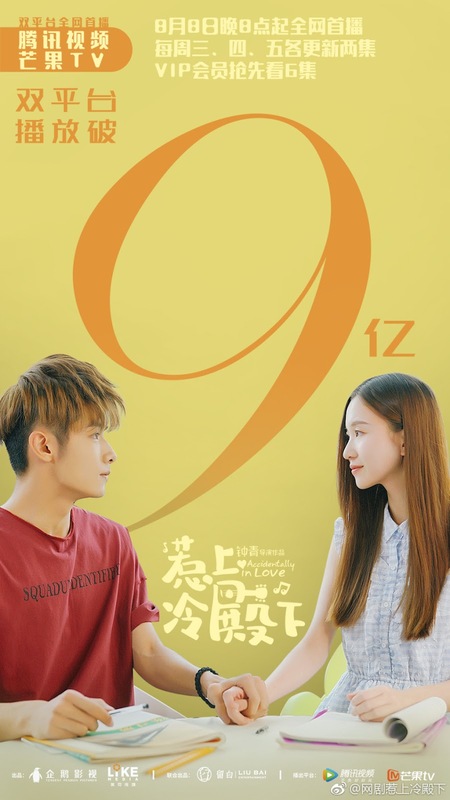 Nevertheless, a quick look at the show's view count on iQiYi and Mango TV reveal that it has accumulated 480 million views ten days after its premiere, which continues to be a letdown for a drama that has two A-listers and a giant ensemble cast. For what it's worth, this is one show that I got hooked to despite the slow-building story. It's political, not an easy watch and perhaps more of an acquired taste. Douban ratings are still at a decent 7.5 which is the highest among the dramas on this list. 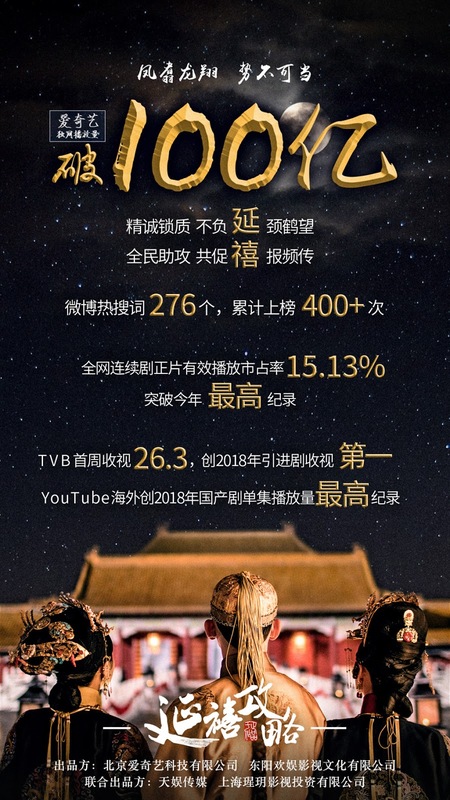 Story of Yanxi Palace joins the 10 billion club as it reaches the milestone number 34 days after premiere. It will air its final and 70th episode this Sunday. Ashes of Love has reached 5.5 billion views 19 days after premiere. It currently has a Douban rating of 7.4. 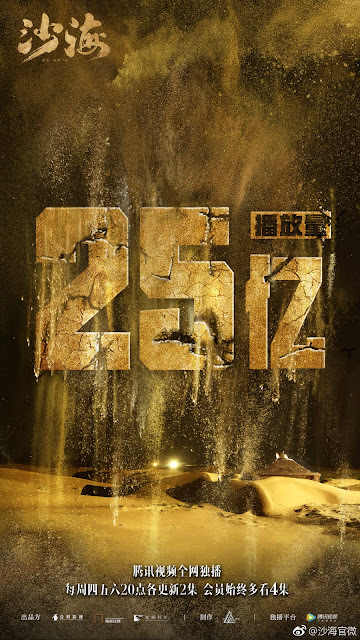 Sand Sea has reached 2.5 billion views 31 days after premiere. Meteor Garden gets closer to 5 billion with 4.7 billion views on Mango TV. It has been on air for a month and a half. For more of the cast, Shen Yue and F4 members Dylan Wang, Darren Chen, Caesar Wu and Leon Leong will be appearing on tonight's episode of Phanta City. Martial Universe has reached 1.5 billion views 16 days after premiere. Ruyi's Royal Love in the Palace has reached 500 million views 3 days after premiere. The Evolution of Our Love has reached 1.2 billion views as of today. The show aired its final and 40th episode last night after 22 days of broadcast. Accidentally in Love has reached 900 million views 15 days after premiere. 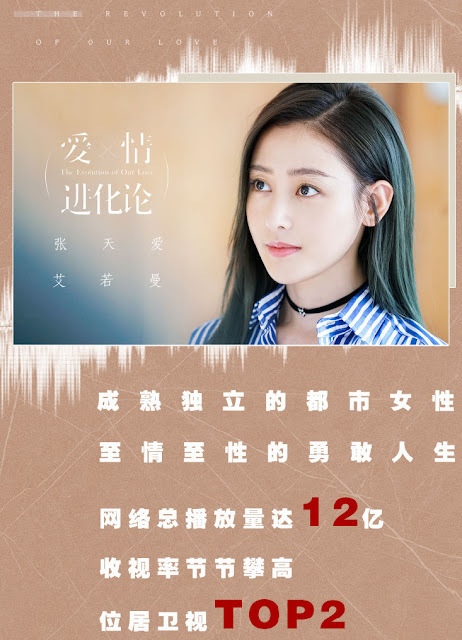 Bloody Romance has reached 1.4 billion views 29 days after premiere. Yay! for Bloody Romance, my current favourite drama!!! 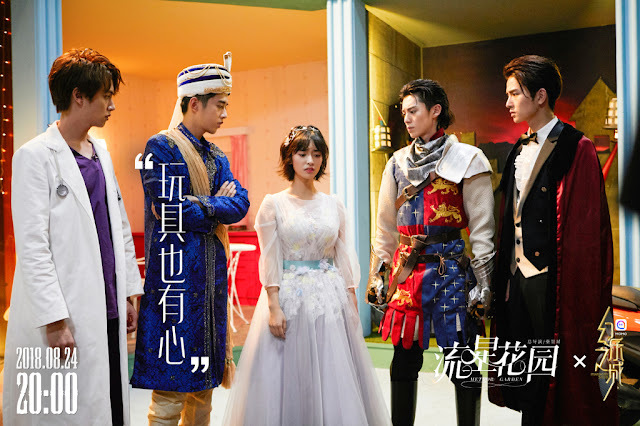 It's disheartening that the possibility for Ashes of Love dropping from its strong 7.6 to 7.4 douban ratings in two days was resulted from the outcry of some viewers and fans regarding screen time for the two leads. I think I saw somewhere on weibo yesterday that it currently has over 6 billion views. I am quite liking Rise of Phoenixes so far, although it is not as addictive as Ashes of Love. But it is as you said, it's going at its own pace and still is enjoyable. Please elaborate. What about the screen time of the two leads? To sum it up, in the past 10-20 episodes or so, the two leads have been having fewer screen time in comparison to Run Yu and even Demon Princess. This outraged some fans and viewers which led some of them to Douban to leave or change their reviews to negative ones, including also boycotting the show that supposedly led to lower tv viewership ratings and dubbing the show as Run Yun Zhuan (Legend of Run Yu lol). 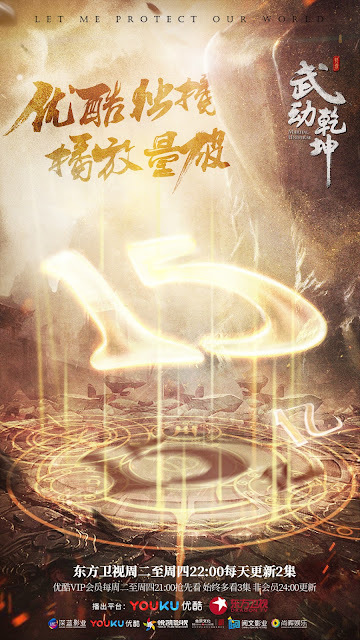 Ashes of Love's production team issued statements addressing and acknowledging this problem. Even the show's producer, Andy Liu, personally defended Deng Lun on weibo from rumors that suggested he took time off during filming hence he had less scenes. Overall, the two leads' screen time so far throughout the entire show is still higher than Run Yu's. I can clearly see why the outrage was there. But honestly, I don't have a problem with the show also being heavily focused on Run Yu. Because it is essential to give depth and roundness to his character to make a more convincing story telling since he is such a big key player in the main plot. The show was doing really well and had great rating potential; it's unfortunate that it currently is dealing with this. 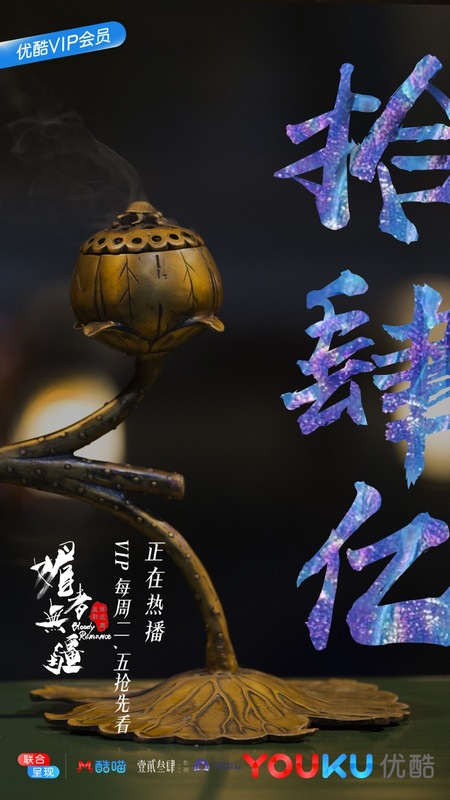 Ashes of Love is the one show I actually don't mind having screen time given to other cast members as 1) they are all wonderful actors/actresses and 2) at least some of the stories contribute significantly to character development. Fans were also upset that RunYu has gotten more development than the main characters. As a book fan I am also upset with the drama development for the past 10 or so episodes. Yep, and I'm also worried about the pacing...so much drama happens near the end and I hope they don't rush it because they had to many damn scenes about Runyu and the Demon Princess. Honestly, I don't care for Runyu's scenes but I can at least give them a pass for trying to develop his character better, but the Demon Princess' scenes drive me absolutely nuts!!! She was barely in the book but in the drama she's promoted to being part of the second main couple? I feel bad for the actor and actress playing this couple, but I. Absolutely. Do. Not. Care. For. It. Just let me watch Jinmi and Phoenix gdi!!!!! They ruined a good novel, though i understand that they need to put more depth to Run Yu's character in the drama, but i still can't understand the need for the Demon princess overly unimportant added scene. She was barely in the book. It makes me feel that someone's pulling some string to promote her by giving her more scenes. Kinda sad because this drama has a really good beginning and quite addictive too. I agree that the production is unfair to Xu Feng. In the novel, XF was a powerful God of War and not easily struck down. In the drama, he seems like someone easily pushed around and a peabrain who only thinks about love. Runyu was straight up a villain and not as invincible in the book. In the drama, he was portrayed to be kind and gentle at first, thus given ample time for his backstory to develop and to invoke sympathy for him. Certain scenes like him blocking Jin Mi from the Heavenly Empress's attacks originally belonged to Xufeng. Not to mention he is as powerful as XF in the drama as well, when in the book XF is alot more powerful than him. This is probably the main issue to fans, and not so much about the screentime (because XF and Jinmi still has more screentime than RY). Even as a novel fan, I find myself more attracted to Runyu than Xufeng in the drama. Some fans of RY also go as far as to insult XF and call him a "third party" for stealing his brother's wife. The scriptwriter has ruined the story with their biasness for Runyu, especially with how the original author is also a fan of Runyu as well. I just hope for the remaining episodes, the production team can divide the airtime fairly between XF+JM's love story and Runyu's career as the Heavenly Emperor. Although with how Chinese dramas are pre-produced, they probably can't do much. Being bias is what usually ruined the story, if only the scriptwriter can stay true to the novel, this will become one of a drama that being adapted successfully. This reminds me of my disappointment from Cheese in the trap korean drama, just because the producer/scriptwriter bias the second male lead, they giving him more scenes and the male lead somehow ends up like a supporting role towards the end. I find the second male lead more handsome than the male lead. Maybe that's why Night is more attractive. That was kind of my main problem with the drama before I dropped it. XF isn't an interesting male lead. There is no real heroes journey for him from the beginning of the story. He's already popular, powerful, successful, famous, clever, loved by everybody. RY character is more interesting. He is handsome, kind outcast who is unfairly persecuted through no fault of his own, his mother was murdered and he understandably wants revenge. He's remained faithful to his betrothal all these years even before no one knew JM existed and he is very kind and sweet to her as a friend even before he knows who she is. Watching him triumph over sdversity, revenge his mother, gain power, hold on to the woman he loved would be the male lead story in most other dramas.